I have installed gapps to have access to Google Maps, but when I decided I don’t need them anymore, surprise – there’s no easy way to uninstall. Most online forums recommend a clean reinstall of cyanogenmod (which might be correct), but since I did not want to go again through the whole backup / restore procedure – I decided to manually remove them. This process seemed straightforward – just remove what the .zip contained. If you decide to follow my steps below, make sure you understand the risks, you might make the phone unbootable, loose data, etc. 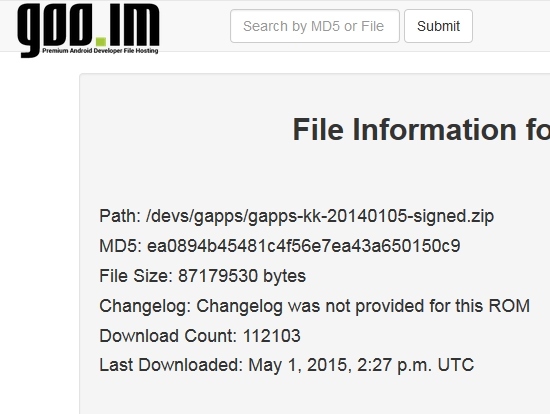 My gapps were gapps-kk-20140105-signed.zip file. There are many files within the system folder, the META-INF folder which I ignored, and the optional/face folder contents for which I had to find the place where its contents were copied. Since the instructions above remove all the .apks and dependencies, the /system partition has to be mounted readonly. I used command line for this and there are specific examples for each phone out there. However, it is not enough to execute the script above, since, upon reboot, the files (or at least some of them) will be back! After the script is ran, the phone had to be rebooted in recovery mode and Dalvik and Cache to be wiped (not system or data, just the caches). I wanted to also remove the optional/face folder, and using the find command, it is clear that the contents of the optional/face folder ended up within the /system folder on the phone. Why not just go to the Apps Manager (Settings -> Apps) and Disable these apps? This wouldn’t work in an unrooted phone, but in a rooted phone these apps remain disabled after a reboot. It sure works for me, and the plus is that if a disabled app seems to be necessary after all, all you need to do is to re-enable the app. Do I need root to remove gapps?